The convener Paul Hoebink wrote a concept note as a preparation for his Working Group sessions at the EADI General Conference: GC2014_WG01_Concept Note for Preparation. 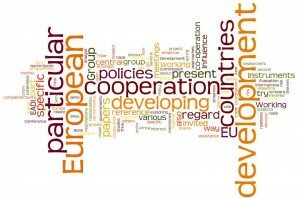 This call for papers fits in the overall objective of the Working Group (WG) to analyse the policy and performance of European governments (and the European Union) with regard to their policies vis-à-vis developing countries, with particular reference to their development co-operation and North-South policies. The WG further aims at exploring the various forms and instruments involved in such relationships, again with particular reference to development co-operation. Evaluation of development assistance – and various approaches in this regard – is also seen as part of the task of the working group. The Working Group “Aid Performance and Policy” will have a second central theme at EADI’s 14th General Conference in June 2014 in Bonn. 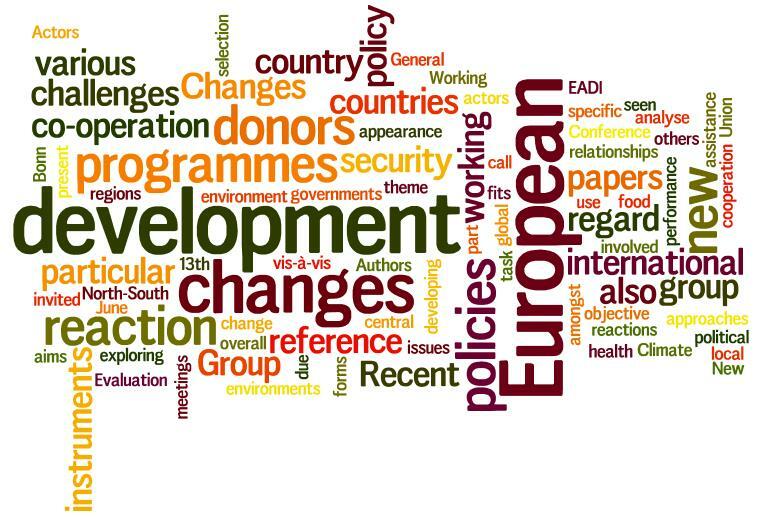 The meetings will be follow-up of EADI’s project ‘European Development Cooperation 2020’. The WG will invite and raise the interest of in particular young scholars. 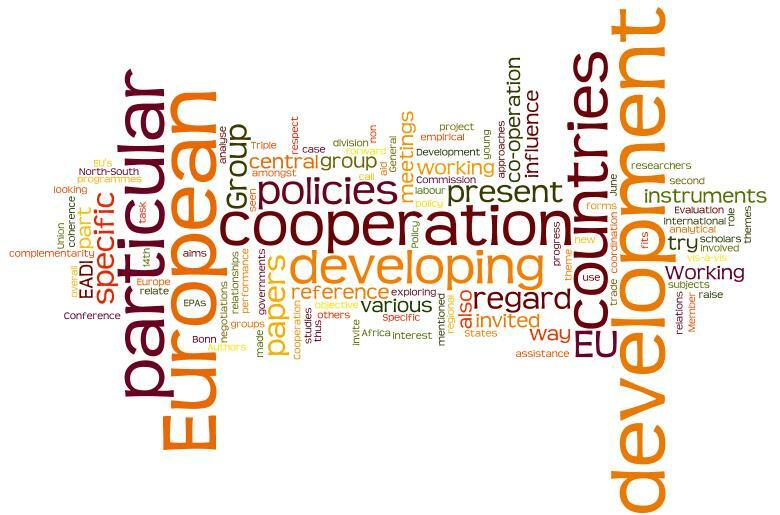 The way other (non development cooperation) policies influence the relations of the EU with developing countries. In particular researchers are invited who can present empirical case studies on the above mentioned subjects or present forward looking analytical papers of Europe’s role in international cooperation with developing countries. The guiding question for this third call for proposal is: to what extent can the formulation and implementation of foreign aid policies be explained by political institutions, processes, and actor constellations within donor countries? Traditionally, political economy approaches to foreign aid and donor behavior were mainly focusing on how the allocation of aid was influenced by a donor country’s security, diplomatic or trade interests. 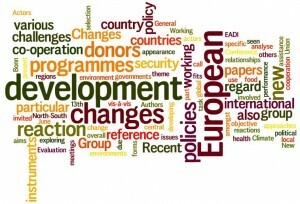 It has however been mostly silent on the domestic determinants of donor policies. Far less systematic research has been carried out on how political (f)actors within donor countries influence or determine donor choices further down the aid chain. More particularly: to what extent are domestic politics influencing the allocation of foreign aid? Does the organizational set up of a donor system help to explain the heterogeneous use of different aid modalities such as Budget support or project aid? When and how do partisan politics and public opinion matter, when analyzing how foreign aid is linked to conditionality or to a donor country’s trade and security interests? We call for papers on these and similar questions. In recent years, the foreign aid “industry” has undergone an important shift. The emergence of “failed and fragile states”, such as Afghanistan and Somalia, and “new wars” in the Balkans and elsewhere contributed to the blurring of lines between the “neat” world of development and the “murky” field of national and international security. Although governments used development assistance throughout the Cold War to further their own interests in the context of superpower rivalry, the end of the Cold War nurtured hopes that foreign aid would finally be freed to focus solely on fighting poverty and inequality. Such hopes, however, quickly faded with the advent of new forms of conflict along with “failed and fragile states” that were unable to preserve minimal state authority and as a result hosted new forms of internationalized violence. Recent donor discussions of fragile countries in the developing world have raised the spectre of negative “security spill-overs” and “safe havens for terrorists” and often cite the adage “No security without development, no development without security”. Consequently, governments and international aid agencies are now revising their aid strategies to reflect new security concerns, often adopting “whole-of-government approaches” to integrate policy across departments, while aid workers frequently must work closely with military personnel. As a result, a significant debate has emerged about the “securitization” of Western countries’ foreign policies. So far, this debate has mainly concentrated on analysing official speeches and policy documents. Beyond discourse, far less is known about actual consequences in the more concrete realm of foreign aid. This call for papers looks into the consequences of a ‘security lens’ on the development assistance provided by the rich countries of the ‘Global North’ to poorer countries in the ‘Global South’. It hopes to bring together case studies from major OECD donor countries, analysing the effects that security concerns and national interests have had on the rationales, priorities, policies and practices of foreign aid since the end of the Cold War. The case studies are supposed to examine the extent to which development goals are being sacrificed at the altar of security.